Y'all, June was a whirlwind month. Can you believe the year is already half over with?! and I started what will be my last summer classes! Today I want to share with you everything I've loved this month. The list is pretty random as always, but I hope you enjoy! I went shopping at the beginning of June and found these bamboo shirts at a local boutique. They are seriously the most comfortable shirts ever! I wear them out on dates, to lounge around in, and to class with Nike shorts. The fabric is what's the best part-it's so soft! I have to have a new candle for every season and summer is this one. It smells like saltwater taffy and caramel corn, which are totally the sweetest smells of summer. So I picked up the candle above at the semi annual sale and absolutely fell in love with all the goodies they had! Y'all, I had been waiting so long for the latest season of Scandal to come out on Netflix. But as soon as it was released, I watched it all in like three days. It's seriously addictive and just that good. And Olivia Pope-can we just talk about how hot she is? I was watching Kelly & Michael the other day and they started talking about these Lumbersexual guys. I'm all about rustic, as y'all know. These guys are full of plaid, axes, and beards! Check out this Insta account for your Mancandy Everyday! I was in Publix the other day trying to make healthier choices while grocery shopping. These stuck out to me and after I tried them, I was so thankful that I found them. They are lightly salty, perfectly crispy, and they go great with everything! Of course I had to pick up something to dip my Pita crackers into and this Publix Roasted Garlic hummus fit the bill! I had never really jumped on the hummus train, but now I can really see why everyone loves it. A serving size of this and the crackers is perfect for an afternoon gym snack! You know I couldn't get through a favorites post without talking about Lilly. When we left for our honeymoon, I had purchased this top in the Scuba to Cuba print. Little did I know how much I would love this top. It's the lightest, most comfortable knit top in the world. I can wear it casually with shorts and sandals or with a skirt and wedges. When Chris and I went to Charleston, we had to do a little shopping on King Street of course. The girls there were so helpful & they managed to help me talk my new hubby into purchasing the Shorely Blue & Resort White tops as well. I can assure you that these three tops were staples in my wardrobe the entire week! My favorite song is one that we used at our wedding. I'm going to do an in-depth post about the music we used during our wedding, but this was played during our unity ceremony. Fortunately for me, this song is really popular on SirusXM right now so I got to hear it a ton while we were driving around on our honeymoon. It gave me the best memories of our wedding & I still love hearing it! What have y'all loved this month? Great post! Everything and anything nautical is a must. I picked up a few from their collection when they first came out. Happy to see I'm in good company. Just saw your comment -- thank you! Would you mind shooting me an email when you get a minute? asouthernstyleblog@gmail.com. 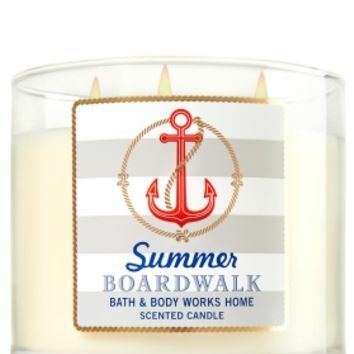 The Summer Boardwalk candle is a must!! Oh my goodness, it smells so delish! I love Bath and Body Works Candles! I've currently been burning Watermelon Lemonade but I'll have to give Summer Boardwalk a try! Thanks for stopping by Ashley! I haven't smelled Watermelon Lemonade, but I'm going to have to try it out now! 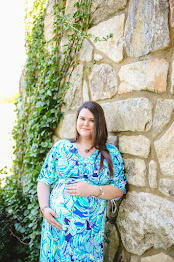 That piko top is adorable! And Yum that hummus looks amazing right about now!